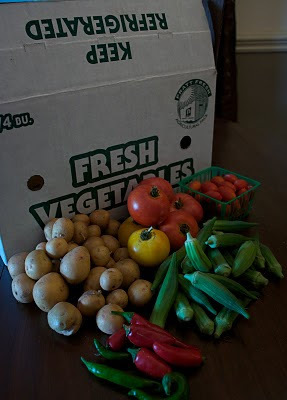 CSA Delivery #10 - um, Okra??!! 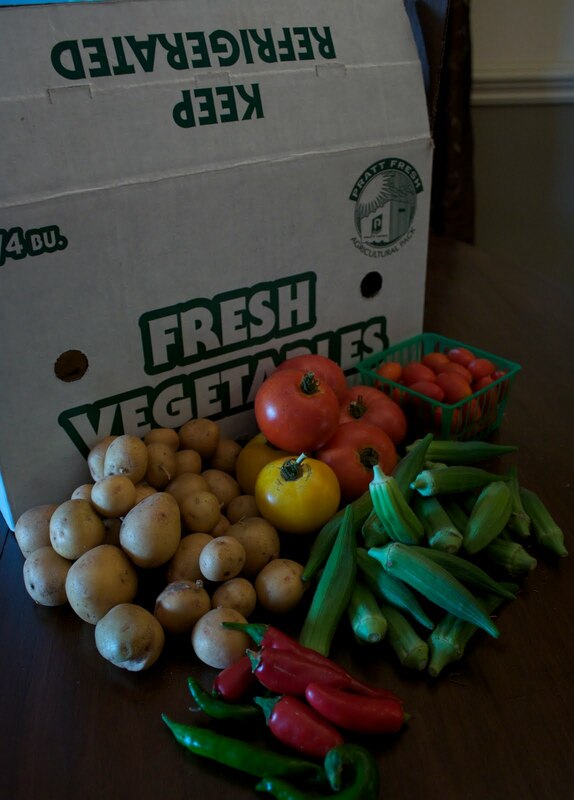 Hmmm, well... Okra. Yup, that's in this week's delivery. Never cooked it before. And, as far as I know, the only time I've eaten it was in gumbo... Its good in spicy, hot creole cooking.. but what am I going to do with it??? Ok, I've settled on it. 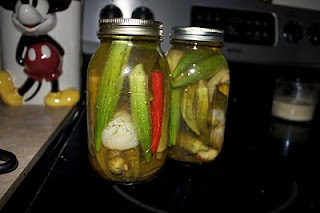 Pickled Okra. Ya know why? Because my dad will eat anything pickled. ANYTHING. So, lets go for it! Now the wait begins.. its going to be at least a week before we can be a test case... I'll have to let you know how that goes!